As Dr. Marek Chodakiewicz continues his European lecture circuit and promoting his new book on post-communism, we are pleased to share the videos of some of his presentations below. New video recordings will be posted as they become available. 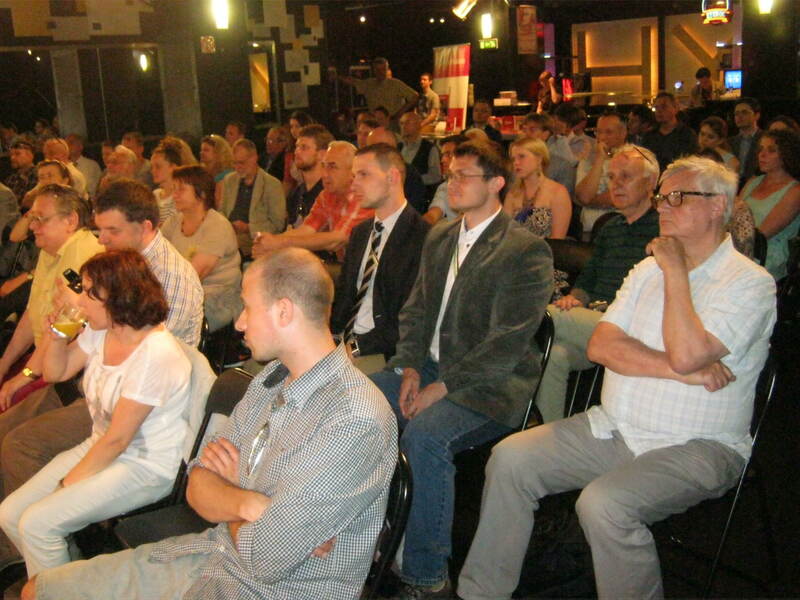 This entry was posted in Books, News, Poland and tagged post-communism on July 14, 2014 by IWP. 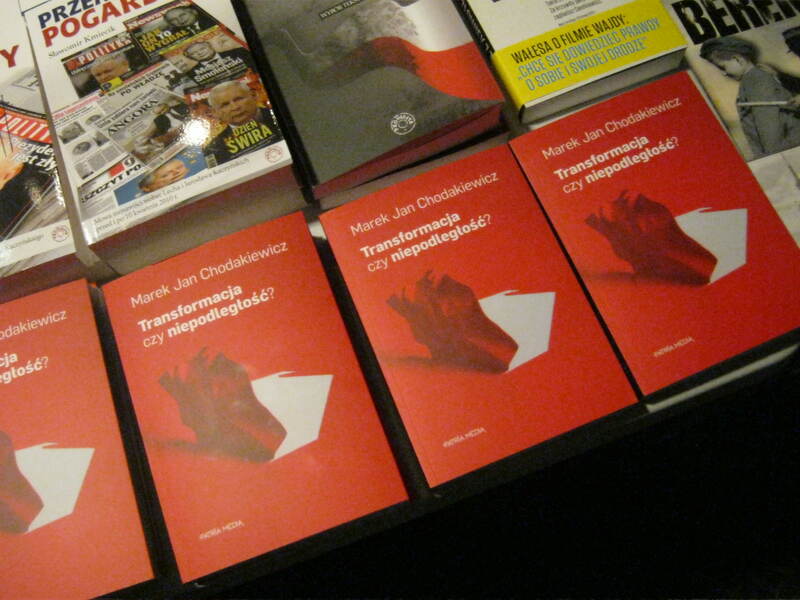 Dr. Marek Jan Chodakiewicz—who is currently on a lecture circuit promoting his new book in Poland—was interviewed on 3 July 2014 by the Polish web portal, Polonia Christiana (www.pch24.pl). 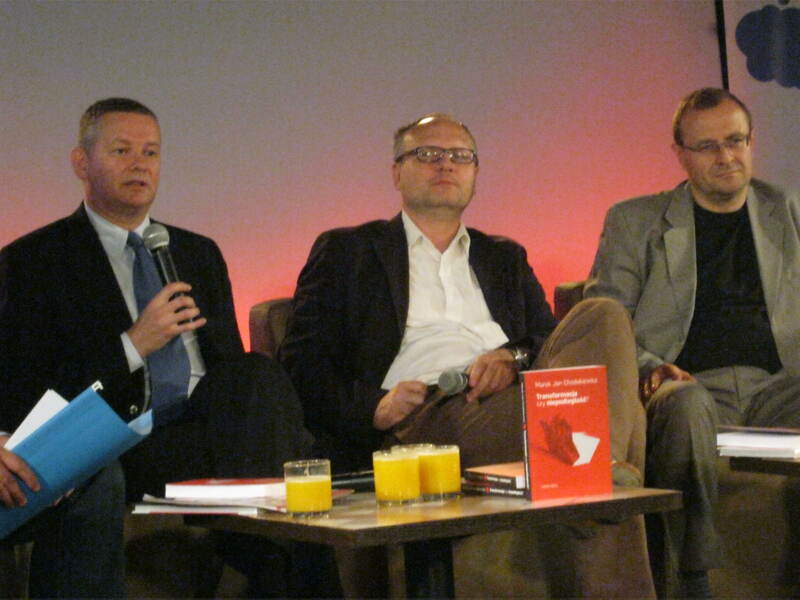 The main subjects of the interview were the assessment of the quarter-century of post-communist “transformation” in Poland, in general, and the quality of post-communist Poland’s political class, in particular. Dr. Chodakiewicz warned against hubristic and triumphalist celebrations of the “twenty-five years of freedom,” since the political system retains many continuities which still bind it to the communist People’s Republic. One example of the rather limited nature of the “change” in the past quarter-century is, Dr. Chodakiewicz points out, the funeral of Gen. Wojciech Jaruzelski, infamous for his crackdown (martial law) on the democratic opposition in 1981-1983, with full state and military honors. The nihilism and cynicism of the political establishment in Warsaw—recently highlighted by two highly embarrassing and vulgar recordings of top politicians—demonstrates just how much Sovietism remains in the country’s “post-Soviet” ruling caste. On a positive note, Dr. Chodakiewicz emphasized that a movement for the regeneration of decent civilization is occurring in both Poland and the United States, although it may not be easy to spot at first. He is much more concerned about the future of Western Europe, which continues to view modernity and religion as two radically opposed and irreconcilable forces. 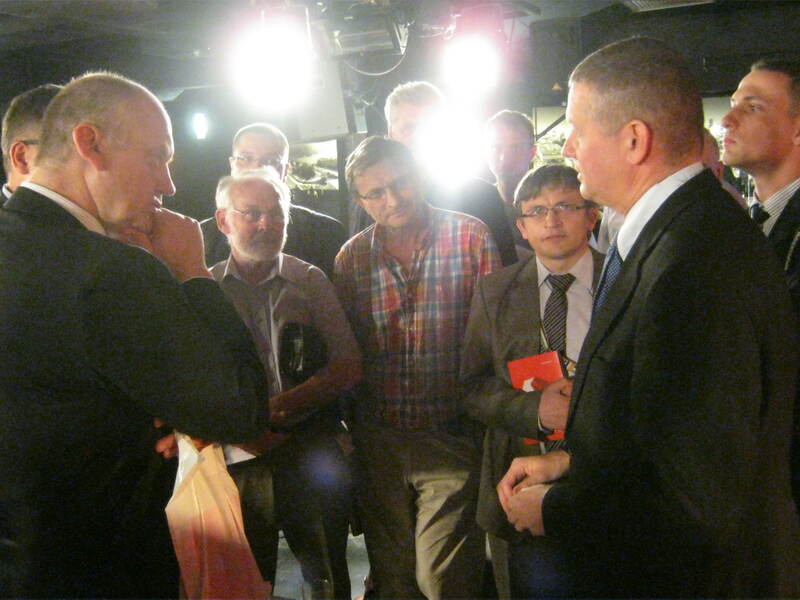 The full (Polish) text of the interview with Dr. Chodakiewicz is available here. 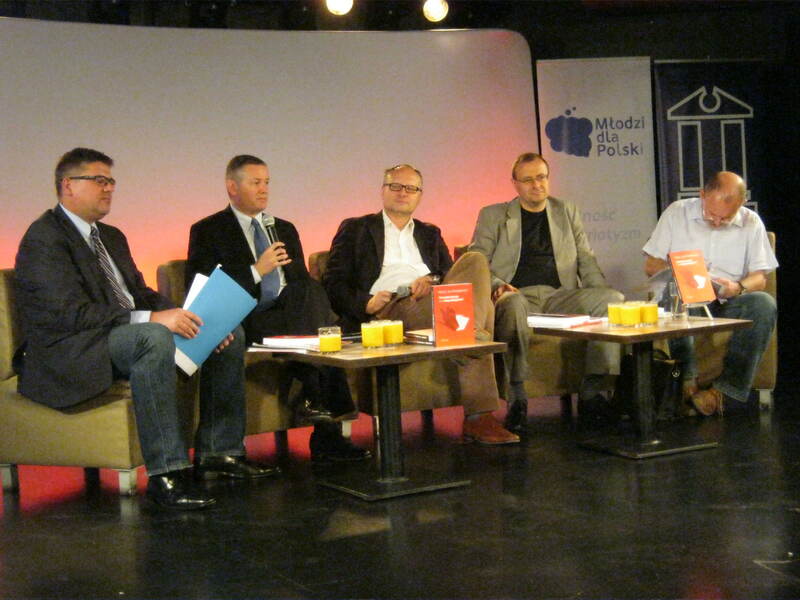 This entry was posted in Books, News, Poland and tagged post-communism, post-Soviet Poland on July 8, 2014 by IWP. Dr. Marek Jan Chodakiewicz-the holder of IWP’s Kościuszko Chair of Polish Studies-has just published a new book in his native Poland. Entitled Trasnformacja czy niepodległość? [Transformation or Independence?] (Gdańsk: Patria Media, 2014), the work assesses the past quarter-century of post-communism in Poland (1989 – 2014). In his latest publication, Dr. Chodakiewicz asks several key questions, e.g. : did the “transformation” of communism necessarily lead to democracy? Why did the post-communist elites prefer the term “transformation” to “independence”? Why did was the establishment of post-1989 Poland unwilling to reach out and harness the talents and abilities of the Polish émigrés then living in the West? What is the nature of the competing politics of historical memory and identity in post-communist Poland? Dr. Chodakiewicz’s new book can be purchased online. 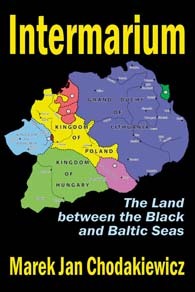 This entry was posted in Books, Intermarium, Poland and tagged post-communism, post-communist Poland on June 12, 2014 by IWP.